Aside from being a life goal of many adults who are endlessly slogging away at Spanish lessons, bilingualism can have an incredible effect on the brain. In fact, raising children to be bilingual has captured the attention of researchers at the MARCS Institute at Western Sydney University who believe it can reveal some incredible abilities in babies’ brains. 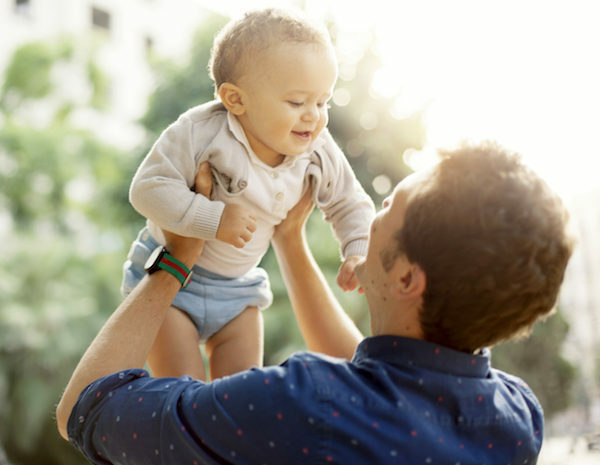 Now BabyLab, a new podcast from Babyology, created in collaboration with Western Sydney University, investigates all the benefits of bringing baby up bilingual. Dr Liquan Liu and other researchers at BabyLab at Western Sydney University have been using EEG caps – a snug cap of electrodes placed over a baby’s head – as well as eye-tracking software, audio recording and other techniques to track how a bilingual baby develops and uses language differently to a mono-lingual one. “We know now that bilingualism causes a difference – it will wire your brain slightly differently – it actually makes you more plastic, more flexible and better at inhibition control,” explains Liquan. For those of us who have become bilingual later in life – starting to learn a second language in childhood or adulthood – there is a constant need to consciously choose words and suppress words to find the right word in the right language. But in bilingual babies, this comes naturally. Constantly switching parts of your brain on and off as you switch between different languages has what researchers call ‘cross -domain’ effects. Which means that it doesn’t just have a positive effect on the part of your brain that processes language, but it improves other parts of your brain too. Learning two languages has wonderful benefits to the brain – it makes the brain more flexible, it’s able to switch between tasks, very easily, to maintain attention and to remember and store, and manipulate information that it’s hearing. “We know that children who are learning more languages have more flexible thinking and understanding about how language is used; they show some cognitive benefits in terms of memory and attention processes,” says Dr Karen Mattock from Western Sydney University. There are obvious benefits for these traits to develop in young kids. But these benefits don’t just benefit babies brains. “We see the benefits of bilingualism in adulthood and into older age as well. There’s some evidence that using two languages across life, offers great benefits, and prevents memory decline in older age,” explains Karen. Yep, research has shown that bilingualism can delay the onset of age-related diseases like dementia by 4 to 5 years. Is it too late for us to become bilingual? Dr Mark Antoniou from Western Sydney University has done fascinating studies about the impact of learning a second language as an adult. What the researchers have found is that people who take part in language learning training for a number of months, show improvements in a number of cognitive tests. Which all suggests that they’re going to have better attention and memory.